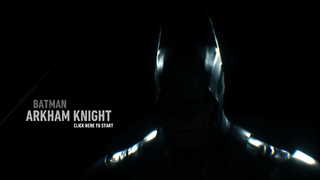 Batman: Arkham Knight is an action-adventure game that serves as the conclusion of the main Arkham quadrilogy started in Batman: Arkham Asylum. Notorious for its poor state at launch on the PC, the game was shortly pulled from Steam to fix the issues until October 2015. 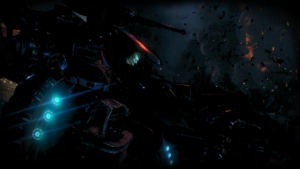 During this time, the developer also began taking requests for adding in additional features, like the minimization of blue walls in combat and predator, photo mode, additional characters for solo maps, and Knightmare mode for combat. Warner Bros. was also going to release a Mac and Linux Port later in 2015, but due to the aforementioned PC porting disaster, that never came to pass, with Feral Interactive canning the port in early 2016. Like any other game, there's traces of cut content in the files, but some of them appear to be DLC that may have been planned for release originally, but were ultimately cut due to the scramble to fix the game and add additional features. Spoilers and tidbits of speculation are present. You have been forewarned. Add the images for loading screens for Million Dollar Mayhem. 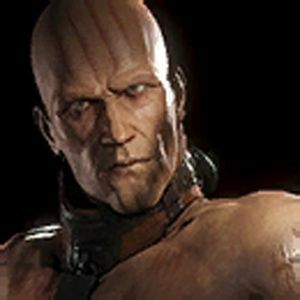 Add bio image for Zsasz. The following is content cut from the base game. Zsasz does appear in-game as a cameo when Batman rolls through the clock tower security camera footage to search for Oracle and has a City Story that unlocks after scanning a display with three of his victims. A profile image as well as unused audio, indicates he was supposed to be part of Gotham's Most Wanted. Zsasz was likely scrapped due to the inclusion of the similar but lesser-known character of Professor Pyg. An inaccessible area resembling the Waynetech Loop DLC racetrack still remains in the main map. Loading screen for "Million Dollar Mayhem". Cause as much mayhem as possible within 5 minutes, and send the bill to Wayne Enterprises. A port of the E3 & PS4 exclusive Earth-2 to Windows was planned at one point, as a SteamDB listing appeared for the skin. The penultimate DLC for Arkham Knight was originally supposed to feature two more characters: Black Mask and Prometheus. The final product has you only attempting to rescue three of the officers rather than 5. This page was last modified on 10 December 2018, at 13:13.